Evil spells. Dark forests. Spooky castles. 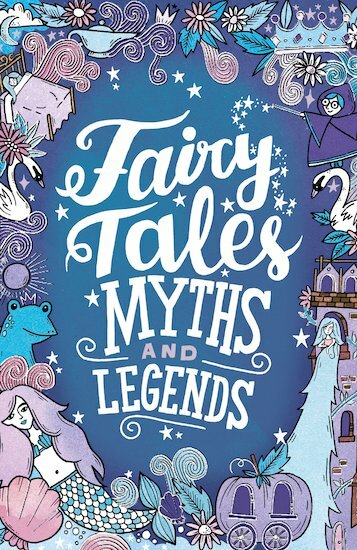 Whether you’re searching for a sky-high beanstalk, a sleeping princess or a bewitched prince, you’ll find a world of magic in this book. There’s the icy breath of Father Frost. There’s a house that walks on chicken legs. There’s the sea king who lives in a sunken palace made of corals and shells. What’s more, each story comes with a short note to tell you a bit more about it. For example, did you know that the Rumpelstiltskin story is thought to be over 4000 years old?